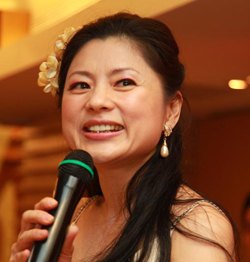 Hellen Chen is an international speaker, best-selling author and management consultant. As an expert consultant, she has been invited to give her advice on individual empowerment and business success on numerous TV, radio, magazine and newspapers interviews across countries like USA, Spain, United Arabs Emirates, Finland, Taiwan, China, Singapore, India, Japan etc. These lessons are not taught in school. And no one will ever teach them to you. No certificates are awarded for learning these lessons. But if you don't learn them, you will never graduate LIFE itself. These lessons are the most important knowledge you should have. They are worth learning for the rest of your life. As a consultant in management, leadership and human relations, Hellen has also been invited to lecture all over US and Asia helping tens of thousands people obtained simple and workable solutions to otherwise complex life problems. When asked how she started being known as a "relationship master," Hellen said, "Everywhere I go as a business consultant, whether I am speaking to a group of doctors about managing their practices, or to CEOs about expansion of their businesses, I am always asked different questions about relationships, 'How can I get along better with my spouse?' 'How do I help my children?' 'How do I find a suitable marriage partner?' etc"
"So as you can see, it is hard not to talk about this subject of love and relationship in any corner of the world, regardless of who is the audience." smiled Hellen. 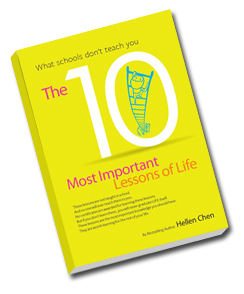 As of now, Hellen has written 25 books on love, marriages, divorces, extra-marital affairs, how to overcome failures in life, how to create the life one wants, parenting, how to love your parents, how to be successful in the workplace whether as an employee or as a boss and everyday issues that concern the average Joe to the top professionals. Is that ALL the books that she will write? Hellen laughs, "I am already working on my next book!" Subsequently, the real-life stories of how she helped the couples to transform were made into a full length documentary, starring the matchmaker herself in 'live action.' This documentary “Let’s Fall in Love” garnered critical reviews all around the world in major international film festivals. Note: Hellen's latest documentary "My Father My Mother" on the AL Jazeera Network has been released to an international audience. This documentary is about her own parents' marriage and how despite constant fighting with each other for the last 60 years, and threats of divorce, they managed to stay together - with the help of a persistent daughter. Hellen met her prince charming more than 20 years ago and has been happily married since then. Hellen's interviews and work have been published on over 200 media publications to date in 20 countries. She is a frequent guest on independent and network TV and radio stations like CBS, ABC, FOX, NBC etc.